Home > All sports > cycling > #CyclingWeek: Padded cycling gear – do I really need it and what are the options? 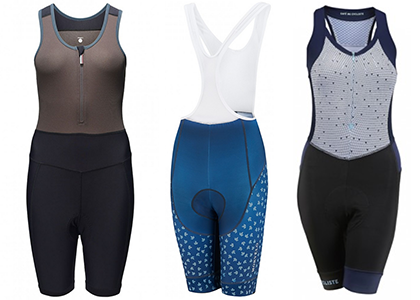 #CyclingWeek: Padded cycling gear – do I really need it and what are the options? 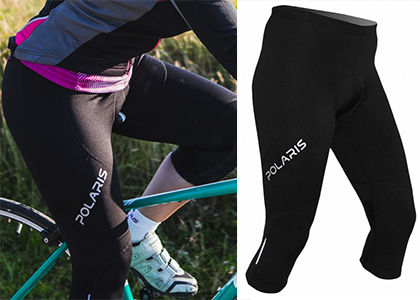 If you’re new to cycling you might be wondering if you really need to buy cycling specific shorts with their bulky padded seats – surely your regular capri’s or leggings will do? 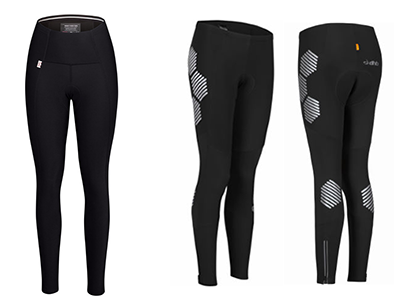 Well, there’s no rule that says you have to wear cycling shorts and it really depends on how far you are planning to ride, but the good news is that there are lots of great options to suit all budgets and tastes. Lots of people ride regularly without padded shorts, especially if they ride to commute or as daily transport. The truth is that if you are just riding shortish distances and hopping on and off the saddle at lights or at shops you can easily ride without them, especially if you have a super comfy saddle. You could also manage one of the shorter Cycletta distances as long as you’ve practiced before hand and are confident you will be comfortable – it really just depends on how far and how hard you plan on going. You’ll want to consider a padded product if you are riding for longer than an hour or you are planning on working up a sweat. The combination of being in the saddle for longer, mixed with working a bit harder can mean that chaffing from friction and sweat (a nasty combo) will ruin your ride – and prevent you riding for several days after. It’s not just about chaffing either, your sit bones can become bruised and painful too and padded shorts will help cushion against this. Our advice would be to wear something padded for both of the longer Cycletta distances, you won’t look daft because most people will be wearing them! There is a lot of chat around the actual pad* (often called a chamois – see below), some swear by one particular brand, but as with most things it’s down to what’s right for you, which probably means trying a few pairs. The cycle padding itself will vary in size and depth, triathlon specific ones will be thinner and less bulky so you can run comfortably in them too. 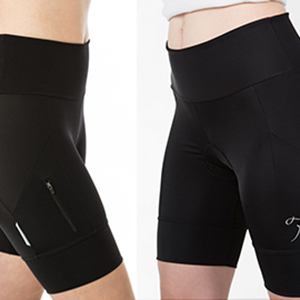 Shorts designed for long hours in the saddle will have thicker padding for obvious reasons. Pretty much all will feature an anti-bacterial fabric because they are designed to be worn without knickers, this may seem odd at first, but you do get used to it. The padding does work better without underwear because the extra layer not only adds to the chance of chaffing, but the breathable, anti-bacterial fabric can’t do it’s work if there’s a layer between you and it! 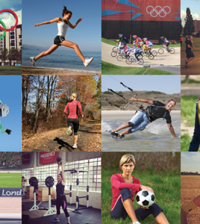 Do you want figure hugging lycra or baggier loose shorts with a padded inner? The traditional short sits anywhere mid-thigh to just above the knee in length, will have a higher back to accomodate a bent-over seating position and often has gripper elastic around the hem to stop them riding up. But you might also want to consider a recreational or mountain bike style that has a detachable padded inner with a loose short over. Some brands also do skorts – a padded short with a skirt layered over the top. Do you want shorts, capri’s or full length? 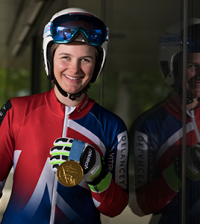 Depending on the time of year you are riding, you’ll have to think about the length you want. Because of the wind-chill factor of cycling, your legs will be colder than if you are running. 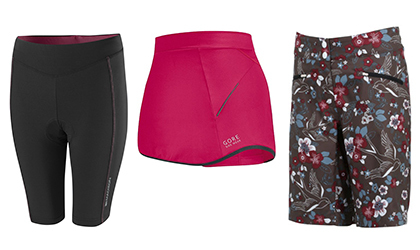 For this reason you might want to consider a padded capri style that is more trans-seasonal. Bib styles are more traditional, but they do have significant advantages for comfort. Not having a waistband prevents possible chaffing, but can also be more flattering. You might think that an all-in-one style is going to show all your lumps and bumps (unless of course you are super fit!) but actually they can be more flattering because you don’t get a muffin top and you will have a smoother silhoutte. Add a looser top over and you might just find that this is the best option if you want to avoid a traditional race-ready skin-tight look! *Chamois – traditional term for the pad. Shorts originally had a chamois leather lining for softness and durability, this has mostly been replaced by a synthetic version.